Add some extra heft to your catfishing arsenal with the Zebco Big CatTM Casting Rod. Catfish are the second most fished for freshwater species and Zebco quality is second to none when you need a rod to go after them. The durable glass blank is the product of multi-layered E-Glass construction and the high-vis glow tip aids in noticing even the slightest bite. The extended EVA handle is comfortable and the stainless D-frame heavy-duty guides with titanium-oxide ceramic inserts minimize pop-outs. D-frame tip guides made of heavy-duty stainless minimize pop-out and breaking. 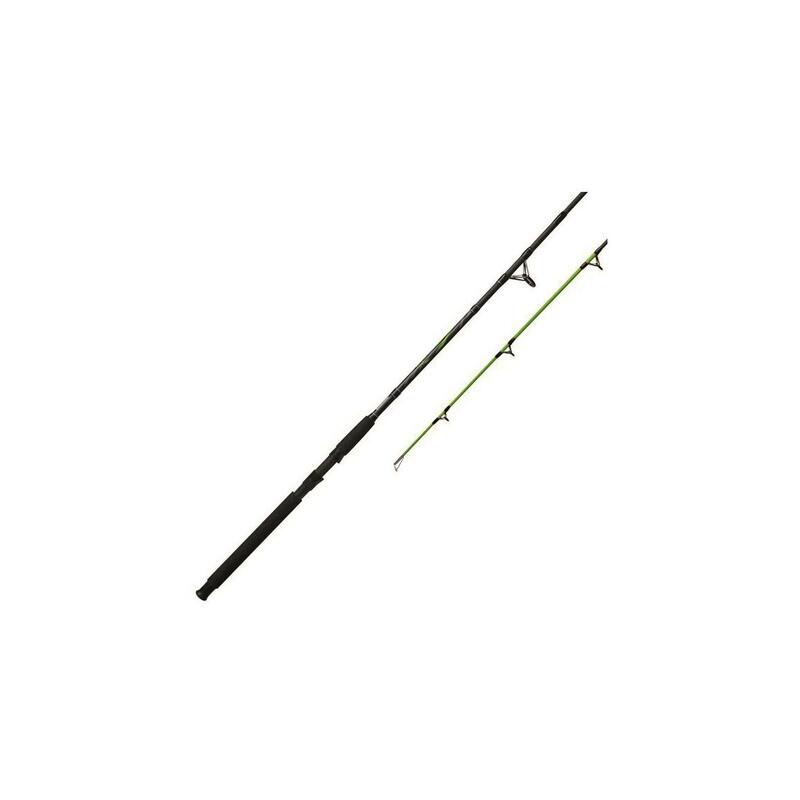 Zebco Big Cat 2 Piece Medium Heavy Casting Rod is rated 3.7 out of 5 by 3. Rated 1 out of 5 by Rich the King from Never thought Zebco would let me down 9' Zebco "Big Cat"? Broke on a little, 5 pound cat my first day out. Snapped like a twig. I purchased when I saw mention of Eglass and Quantum. Then it arrived and I thought it seemed too light. Looked and saw lure rating of 1/4 - 3/4 oz? Bait weighs more than that for "big" cats. I feel like I've been disappointed by a long time friend. I'm 58 and did not abuse the rod. The rod sare simply no good. These rods would fail on any fish at 5 pounds. 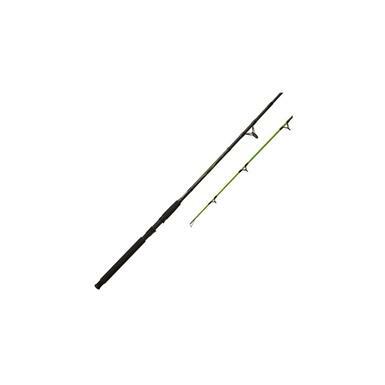 Rated 5 out of 5 by MikeyB1955 from Well made rod for catfishing and saltwater I bought 2 of the 8ft. Big Cat rods last year and fished with them once or twice a week in the Mississippi river near my home. Although I didn't catch anything huge, these rods handle 10-12lb fish easily. I have Zebco 808 Magnums on both rods. Good action on the rod tip so you can see and feel small bites. Plenty of backbone to haul in a big fish. I prefer fiberglass rods like these to graphite for cat-fishing.